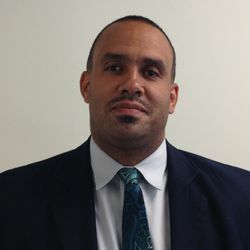 Dedrick Asante-Muhammad is the former senior director of the NAACP Economic Department. In that role, he oversaw financial and economic education, fair lending, diversity and inclusion and community economic development program work. Asante-Muhammad’s past civil rights experience includes his time at Reverend Al Sharpton’s National Action Network, where he first worked as the national crisis coordinator and then as the national field director. His professional work in economic equity began at United for a Fair Economy, where he was the first coordinator of their Racial Wealth Divide Project. Pursuing his work in economic and racial equity, Asante-Muhammad worked at the Institute for Policy Studies in the Inequality and Common Good program.